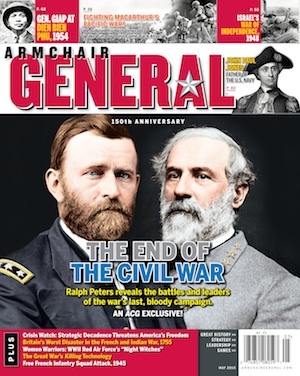 National Parks Commemorate Veterans Day | Armchair General Magazine - We Put YOU in Command! We received the following media release and want to share it with our readers. Additionally, the National Park Service would like everyone to know that any citizen with a permanent disability can get a free lifetime pass to all national parks, and all active-duty military and dependents can get a free annual pass to every national park. WASHINGTON – In 1948, World War II veteran Earl Shaffer decided to “walk off the war” with a hike on the Appalachian Trail. Finding nature “a balm for my wounds and scars,” he traversed more than 2,000 miles of peaks and valleys in four months and became the first person to through hike the entire trail. National parks, such as the Appalachian Trail, continue to soothe, inspire and provide recreational opportunities for all. And, on Veterans Day, November 11, every National Park Service entrance fee will be waived for everyone to commemorate the service of U.S. Armed Forces veterans. The military has longstanding ties to national parks. In 1886, the First United States Cavalry was dispatched to Yellowstone to stop the vandalism, poaching, and trespassing that threatened the world’s first national park. The military continued to oversee several of the country’s earliest national parks until the National Park Service was established in 1916. For generations, the military has conducted tactical training at sites including Gettysburg National Military Park and Prince William Forest Park. During World War II, Yosemite, Sequoia, the Grand Canyon, Denali, Hot Springs, and Carlsbad Caverns national parks hosted rest and rehabilitation camps for service members. The tradition of providing veterans and active duty military members with opportunities for relaxation, recreation, and camaraderie in the great outdoors continues today. Hawaii Volcanoes National Park has a military lodge and Lake Clark National Park has waterfront accommodations for wounded veterans. Yosemite, Everglades, and Grand Teton national parks, and Saint Croix National Scenic Riverway all regularly host outdoor excursions for veterans groups. And, in the spirit of Earl Shaffer, the “Walk off the War” program uses long distance hikes to help veterans transition from war time experiences. On Veterans Day, many parks will also hold special events. Hear the story of America’s first top guns at Tuskegee Airmen National Historic Site in Alabama. Visit the historic Nike Hercules Missile base – a remnant of the Cold War – in Everglades National Park. Witness an enlistment during a commemoration at Valley Forge. Tour Mammoth Cave and learn about its role in the War of 1812. Find more information about these and other events at www.nps.gov/findapark/military-honor.htm.